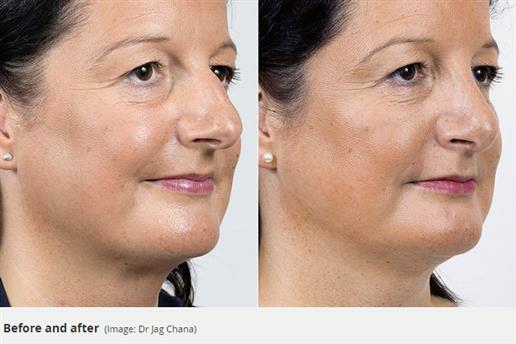 Nose jobs or Rhinoplasties have always been a popular plastic surgery treatment, particularly with Mr Jag Chana, a leading expert in the field. However, since Mr Jag Chana had introduced the latest advancement/breakthrough in nose surgery: ‘Ultrasonic Rhinosculpture’, it has sparked an awe-inspiring interest with those considering having nose surgery in the UK. Regular nose jobs involve a lot of downtime, but Ultrasonic Rhinoplasty is different because not only does it involve less downtime but precise results are far more promising than traditional Rhinoplasty. Ultrasonic Rhinoplasty Suitable for: Getting rid of a bump, narrowing the nasal bridge and correcting the nasal septum. ‘When I was little, I fell down the stairs. After that, my nose veered to one side and had a lump on the bridge that made it look like a witch’s crook. I was teased at school, and as an adult I avoided being in photos. I didn’t even want to be in my wedding snaps, as the idea of everyone staring at me was terrifying. 'My husband never saw an issue with my nose, and I didn’t want to pass my insecurities onto my daughters, so I put off having surgery. Then my friend told me she’d heard about a new procedure with little downtime. 'I looked it up online and gave Dr Chana’s clinic a call. I was nervous, but I was told I was a good candidate and I knew it was now or never. The op took three hours under general anaesthetic. 'The next week, they took off the bandages and there was barely any swelling or bruising, just a tiny yellow tinge under one eye. It was amazing.